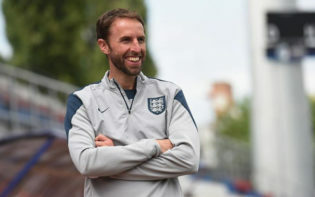 Domestic competitions were replaced by international duties across Europe this week where England embarked on their France 2016 European qualifying campaign. England faced Slovenia in attempts to preserve their 100% winning record in the fourth fixture in Group E, followed by an exhibition game north of the border with Scotland at Celtic Park on Tuesday. Saturday’s proceedings appeared to conclude how they started, in a celebratory fashion. 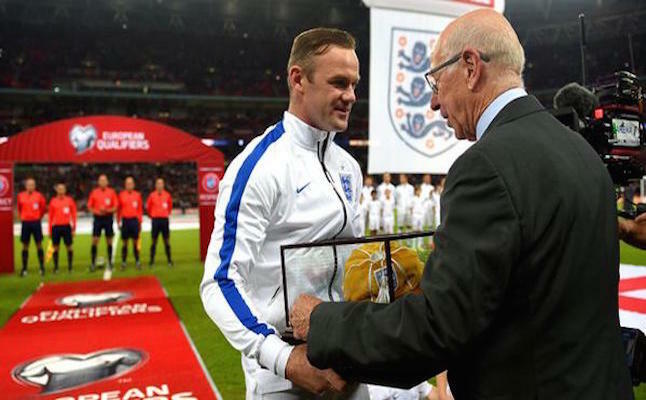 77 year-old Sir Bobby Robson (who netted a record 49 goals in 106 appearances) greeted Rooney inside a capacity Wembley crowd of 82,000 to award his countryman with a commemorative golden cap, decorating him as the youngest English centurion in history. 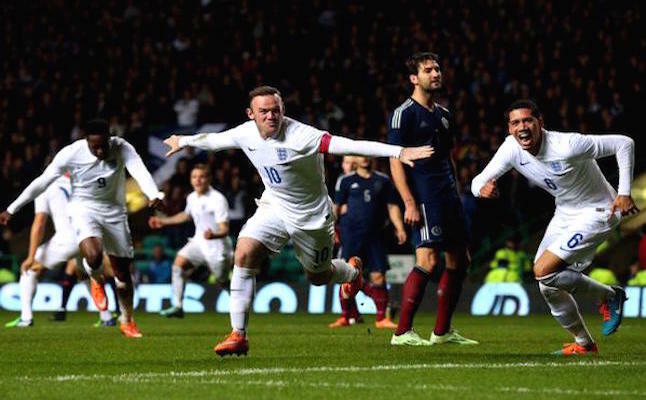 Subsequent to the ceremony Rooney then captained his team to a 3-1 victory over an organised Slovenia setup to thrust England into a 6-point advantage in their group. Rooney’s equalising penalty appeared to turn the tide in England’s direction before a subsequent brace from Danny Welbeck secured three points for the Lions. While the Manchester United and England captain is indeed important in Roy Hodgson’s plans for France 2016 qualification, deliberation over his hallmark in history appears to have ensued ripples of debate this week. Wayne Rooney announced himself onto the football domain at 16 years old, where a 30-yard strike topped Arsenal’s David Seaman, thus marking him as the youngest premier league goal scorer in history. Arsenal boss Arsène Wenger immediately conceived him to be “the biggest prospect to English football” he had ever seen. Conversely, some cogitate that it is of this particular fashion that many (including Rooney himself) consider that premature expectation was laid on his shoulders, thus stifling one so young to maximize his potential. Others may reflect on Rooney’s career in a more pragmatic fashion, focusing on his goal-scoring record that appears to speak highly of itself instead of subjectively evaluating his progression. Rooney has now overtaken Jimmy Greaves in third-place (46 goals) in England’s goal scorer ranking after netting twice in his latest tie with Scotland. If Rooney is to one day surpass Charlton’s 49-goal tally, it may be pleaded under mitigating circumstances, where he has conceivably played in inferior England teams to the lauded duo of Greaves, and Lineker respectively. A significant question remains however, as to what extent Rooney’s experienced, yet contemporary status may help the Under-21 players to continue their progression up the ranks of the senior squad in becoming future stars in their own right. The average age of the England starting line-up against Scotland on Tuesday was 24, implying that Hodgson’s refreshed faith in younger talent offers insight into the future direction of English football. Saido Berahino is among such talents who have already proven themselves internationally, having recently asserted himself as the top-scorer in the Under-21 2015 UEFA championship qualifying campaign with eight goals. 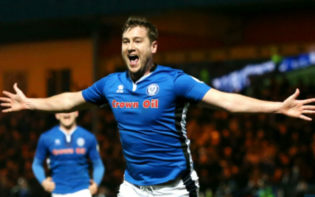 The West Bromwich Albion academy graduate overcame a challenging beginning to his career after going out on loan to Northampton Town, Brentford and Peterborough United, however since returning has continued goal-scoring habits in the Premier League. Novice fullbacks Nathaniel Clyne and Kieran Gibbs (who share 6 caps collectively) offered a glimpse into the future by playing important roles in nullifying Slovenia and Scotland this week. Clyne, 23 and Gibbs, 25 are often viewed as quintessential modern fullbacks. Both players were utilised effectively on Saturday with displays of forward minded thinking helping to compress high up the field in both games. This decision to deploy the fullbacks further forward may be testimonial to Roy Hodgson’s sureness in their defensive faculty. It is perhaps of similar circumstances where Roy Hodgson’s faith in young inexperienced players (Gibbs & Clyne) saw David Moyes establish Wayne Rooney’s career in his Everton debut back in 2002. 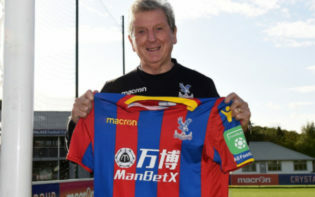 Perhaps Roy Hodgson’s faith in young English talents is proving successful in the bid for UEFA championships qualification in France 2016; however, time may tell whether they continue to flourish under Hodgson’s bold managerial style. What additional steps might be taken for English players to continue to flourish?